Hyperbaric oxygen therapy has assumed an ever-expanding role in modern medical practices – for both human and animal patients. 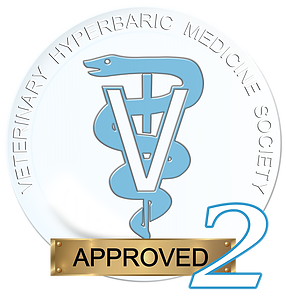 In veterinary medicine hyperbaric oxygen therapy offers numerous advantages to veterinarians and patients. Its clinical use in a growing number of indications demonstrates its effectiveness in primary and adjunctive care. 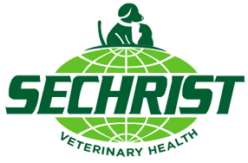 Combined with a team approach that involves hyperbaric specialists and the referring veterinarians, hyperbaric oxygen therapy is very effective medicine. Hyperbaric oxygen therapy involves the systemic delivery of oxygen at values 1.5 to 3 times greater than atmospheric pressure. Patients are placed in a treatment chamber and breathe near 100 percent oxygen while exposed to elevated ambient pressures. As an application of an established technology, hyperbaric oxygen therapy is helping to resolve a growing number of difficult, expensive or otherwise hopeless medical problems. Hyperbaric oxygen therapy employs a variety of action mechanisms. Some are related directly to elevated pressures; others are related to increased oxygen effects in the blood stream, tissues and cells. Up regulation of anti-inflammatory gene expression and the down regulation of proinflammatory genetic expression, resulting in an important synergistic therapeutic method for reduction of inflammation in pathologic disease mechanisms occurring throughout the body. Vasoconstriction and for the reduction of edema in the area of trauma for crush injuries. Oxygen tension levels may be 10 to 20 times that achieved by normobaric oxygen breathing. Rapid dissociation of carbon monoxide molecules from hemoglobin and cytochrome A3 oxidase and delivery of physically dissolved oxygen via the plasma. Increase in oxygen diffusion distance from functioning capillaries in the hypoperfused wound. Stimulation of growth and occurrence of fibroblasts, osteoclasts and granulocytes, resulting in wound healing. The resulting angiogenesis enhances healing skin grafts, select problem wounds and compromised flaps. Cessation of alpha toxin production by the clostridial organisms in gas gangrene. Hyperbaric oxygen therapy greatly increases the amount of oxygen delivered to body tissues by the patient’s blood. It is important to note that the benefits of hyperbaric oxygen therapy result from an oxygen-enriched bloodstream and not from the oxygen’s direct contact with wounds. This is why wound dressings can be left in place during treatment.